If you’re not sure if your insurance will cover the cost of speech therapy, talk to your employer’s human resources representative. If you’re uninsured or underinsured, contact the appropriate department in your state for information on insurance programs. Ask your employer if he offers a flexible spending account (FSA). An FSA allows you to designate a portion of your income for qualifying medical and childcare expenses. The income is not subject to payroll taxes, which can save you a nice chunk of change. Talk to several speech-language pathologists (SLP) in your area and compare their rates. Speech Buddies Connect is an easy way to message a lot of local and virtual therapists, fast. You can also contact local universities and colleges in your area and ask them if they have speech therapy clinics. At a university-sponsored speech therapy clinic, your child can often receive treatment at a reduced rate by graduate students who are supervised by SLPs. Even if your child does qualify for free speech therapy sessions under early intervention or special education programs, he might need extra help. If your Individualized Education Program (IEP) team refuses to add more speech therapy sessions to his weekly schedule and filing a complaint gets you nowhere, consider combining public and private speech therapy. You won’t have to pay the full burden, and your child will get the help he needs. Many hospitals, clinics, and early childhood centers offer services based on a sliding scale. 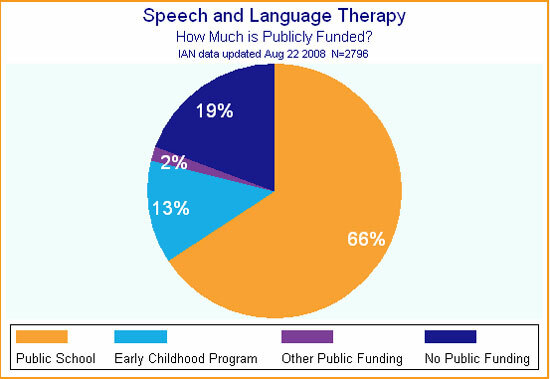 It’s always worth asking your child’s speech therapist if she offers a reduced fee or sliding scale program based on your income. Join a support group for parents of speech disordered children. If you can’t find one in your area, create one. Network with other local parents and gauge the interest for a support group. Ask the other parents if they might consider hiring a speech therapist to do group sessions for all of the youngsters. The SLP will almost certainly increase her speech therapy rates for group sessions, but the cost will still be lessened when split amongst a group.